If you like the idea of a range of food and drink items being delivered to your door each month for a amazingly low price then Degustabox could be for you!! Degustabox is a monthly food/drink subscription box which is delivered to your door each month for the monthly cost of £12.99. Each month the box will contain between 9 and 14 items which will be a mix of food and drink, sweet and savoury and guarenteed excitement as your rumage through your box to discover your goodies. Here is what we received inside our August Degustabox. The Dr Oetker mug cakes where the first thing I pulled out of the box and my face lit up! We were sent the 3 flavours available which are chocolate, chocolate chip and lemon and I can confirm all are delicious! 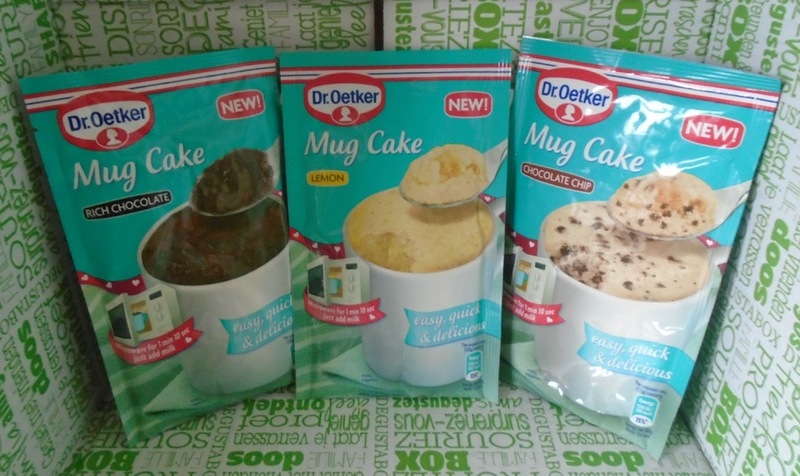 These mug cakes are perfect for creating a sweet indulgent pudding in under 2 minutes, you only need to add milk and pop in to microwave! These are perfect to have in the cupboards for when you need a quick sweet/cake fix. There are very often different brands of coconut water inside the Degustabox which is great if you like coconut water, however I do not so these often get wasted unfortunately. Its not really a big issue for me though as its only 1 product in the box and would be a great addition for anyone who does enjoy such products. 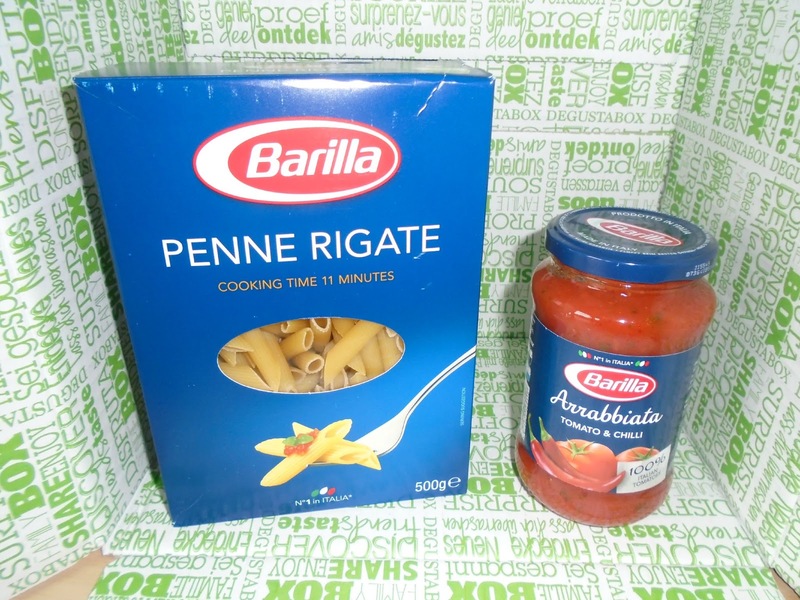 In this months box we received 2 products from the Barilla range an Arriabbiata tomato and chilli sauce and the Barilla penne rigata pasta. The Arriabbiata sauce is a delicious blend of spicy chilli's and 100% authentic Italian tomatoes. The Penne rigata is made in Italy with carefully selected durum wheat and the shape is inspired by the shape of an old style pen. I loved that they included these 2 products in the same box as you can use these 2 products to create a delicious meal! 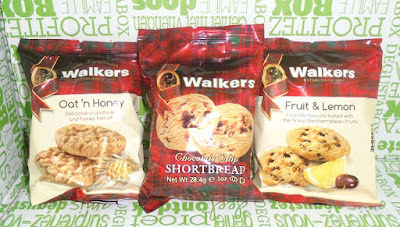 Walkers is a brand I hadn't heard of when it comes to biscuits so I was excited to try these when I discovered them in the box this month. 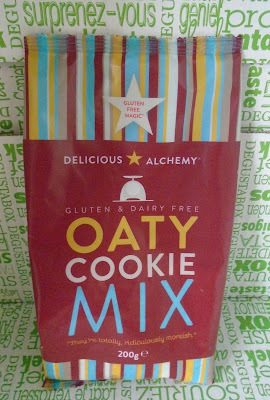 I received the chocolate chip, lemon and fruit and oaty biscuits, each flavour came in a cute pack of 2 biscuits. I can confirm that they all tasted great and as the packs come individually wrapped packs of 2 these would be perfect for lunch boxes and picnics etc. You just can't go wrong with chocolate biscuits! The Pick ME Up biscuit bars have a delicious crunchy outer biscuit with a solid chocolate centre which put together make a chocolate delight, a must try. 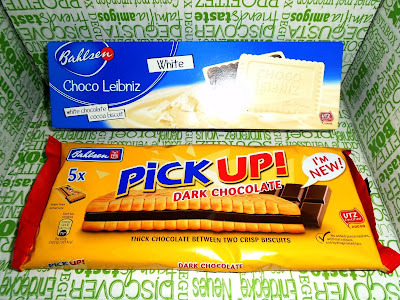 I hadn't heard of the Leibniz biscuits before but I can confirm they get a huge thumbs up. Whats not to love about a chocolate biscuit generously coated in creamy white chocolate. I was thrilled to see that Degustabox were including a Gluten Free item in their box this month, whilst I am not Gluten Free it just shows the diversity of products available in the Degustabox for me! I made these cookies which were extremely easy to make with my son on the weekend and they were delicious! A crisp outside with a soft/chewy middle. 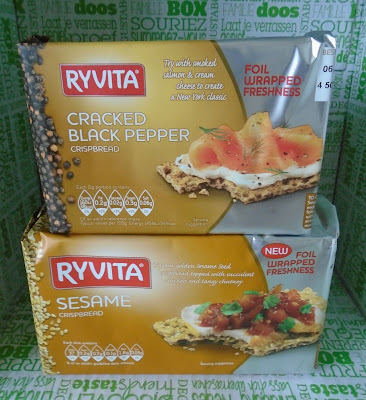 If you think "Diet food" when I say Ryvita then think again. Ryvita have recently had a major overhaul and whilst doing this have added a wide range of different flavours. I found these to be perfect to grab for a quick lunch topped with simple ingredients like cream cheese and tomato make a delicious filling lunch. I also found them perfect for a lighter option for dipping in to soup! I love how Degustabox gives me the opportunity to try new and existing brands that I may have not tried before. I also love how the box isn't contained to 1 type of item and contains a real mix each month. If you fancy trying Degustabox for yourself you can use the code - XP1PP to receive £3 off your first box making it under £10! Wow, what a fun box of goodies! Such a great variety & wonderful that gluten free is included. Fabulous discount code too hun, thank you! What a great range of products I love the look of the lemon mug cake it looks heavenly and a perfect sweet fix for when you are feeling peckish. All those goodies look so yummy. I would love to try the Coconut water, I know it's not for everyone but I love it. We got Augusts degustabox too. I loved this months box especially the biscuits. Hubby loved the cake in a mug too. I've heard of degustabox and I'm always tempted....however I love my beauty boxes too much to subscribe to another, maybe in the future though as they always look pretty good. Popping over from blogging mums! Those mug cakes look really intriguing. Did they taste good? I didn't realise it was so varied!! 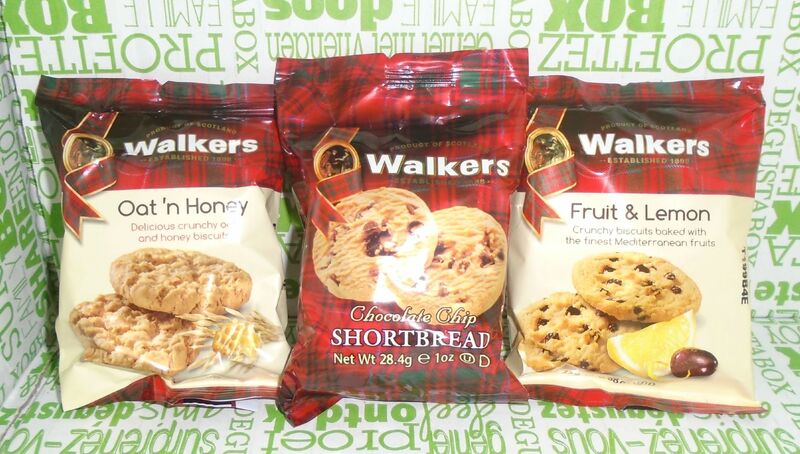 Don't walkers make shortbread? ?